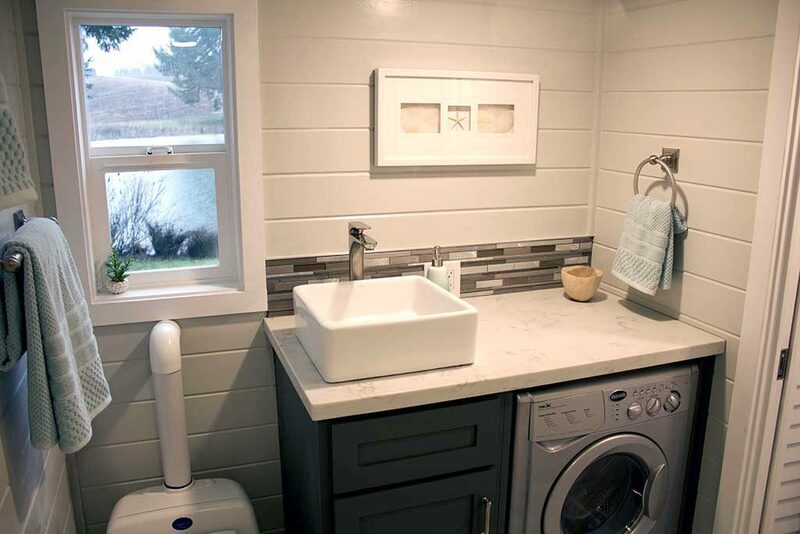 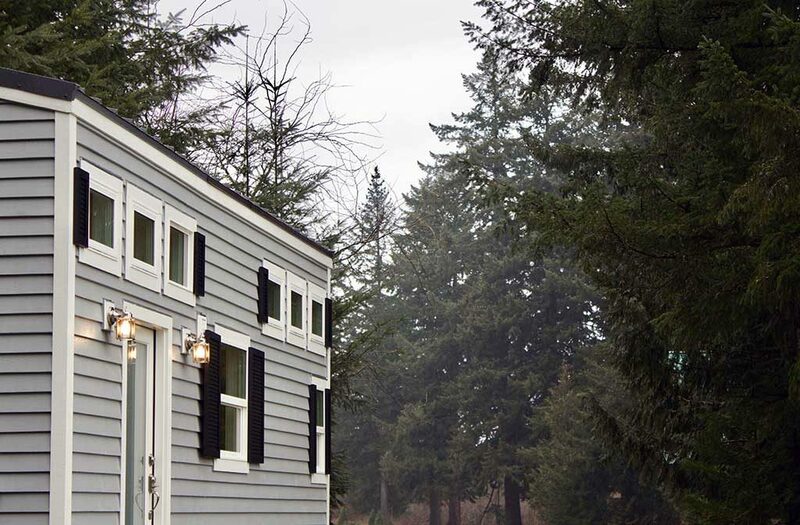 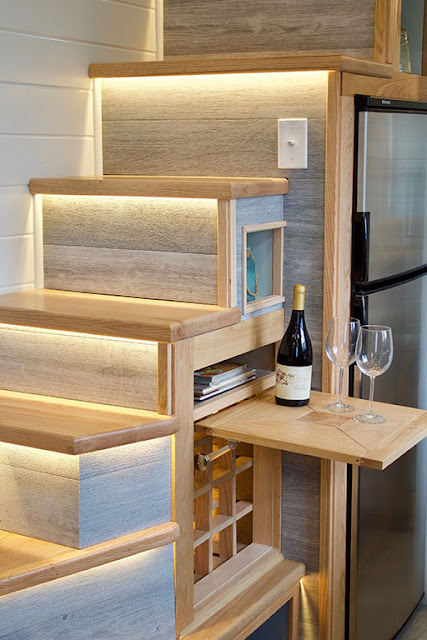 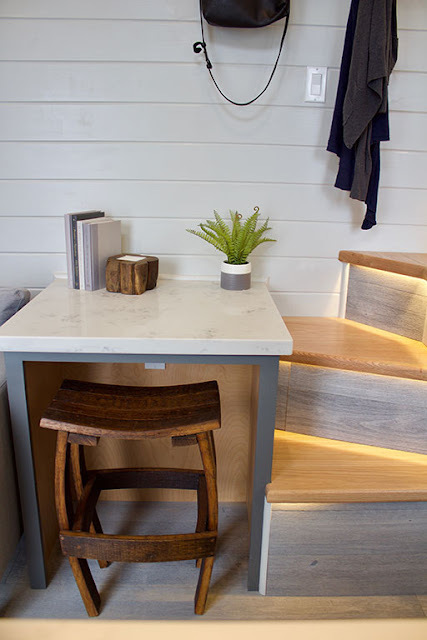 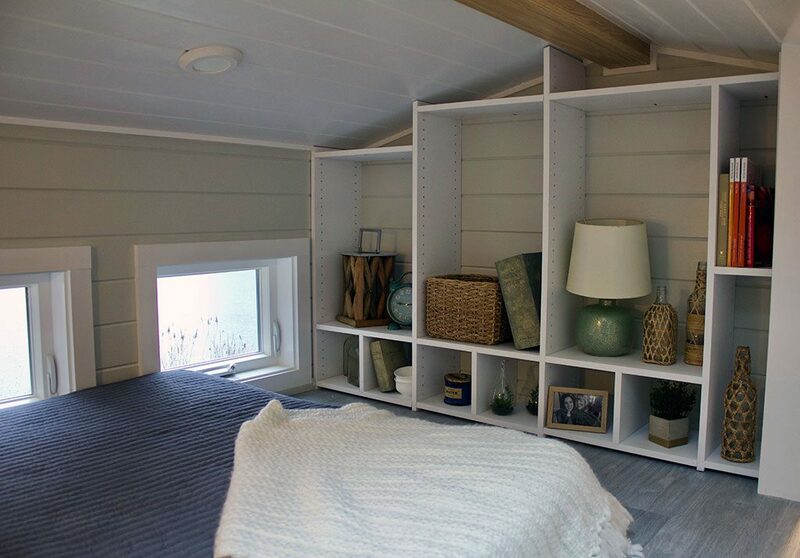 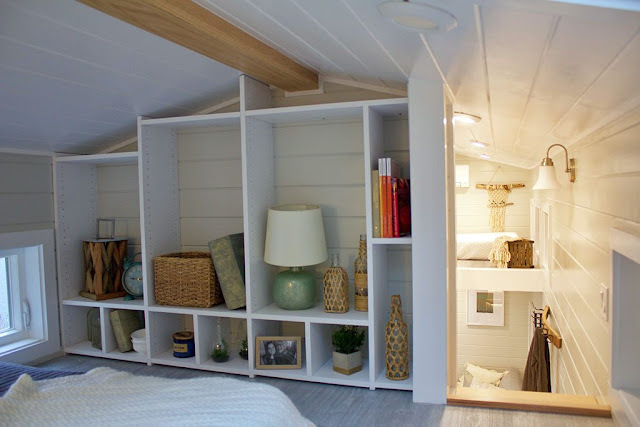 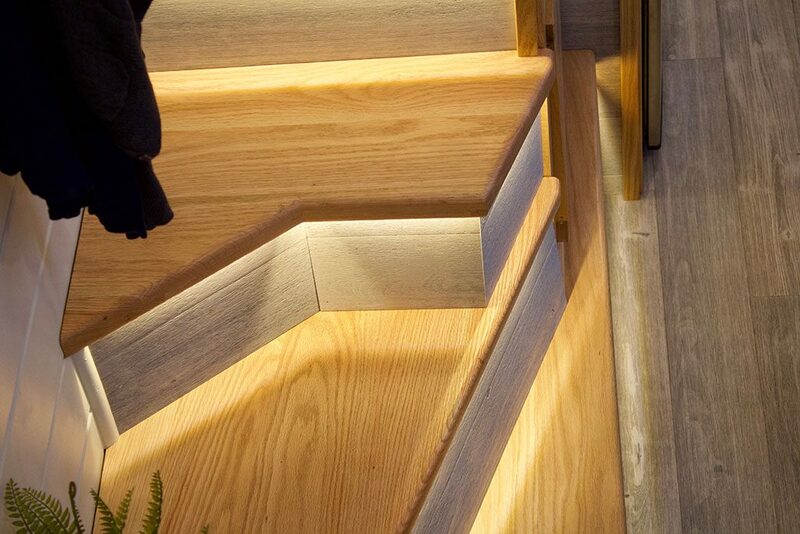 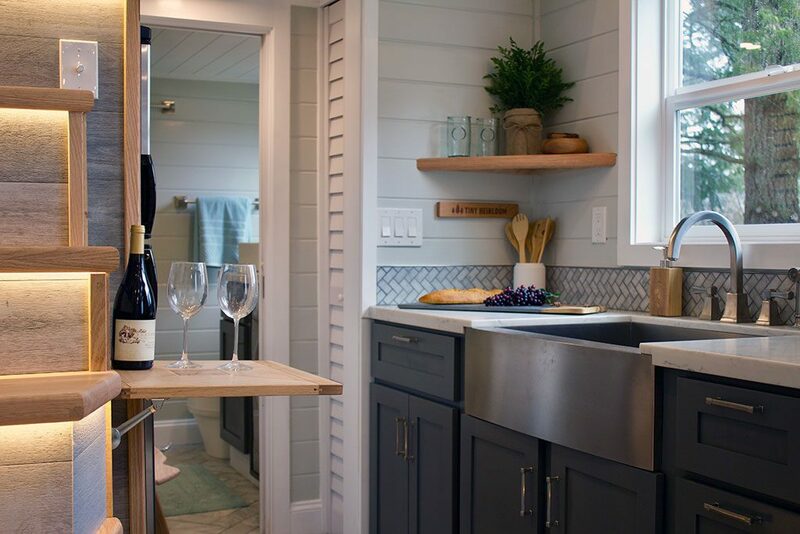 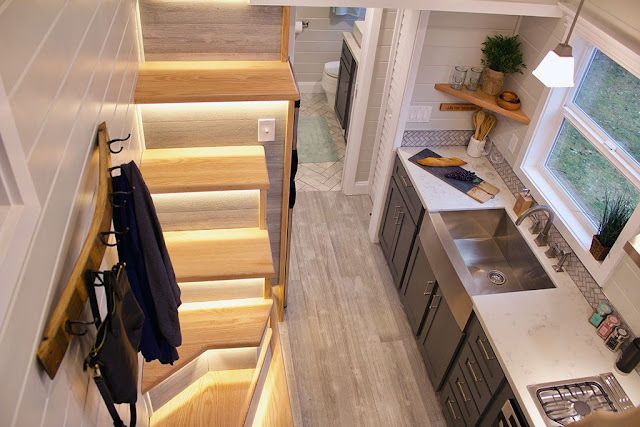 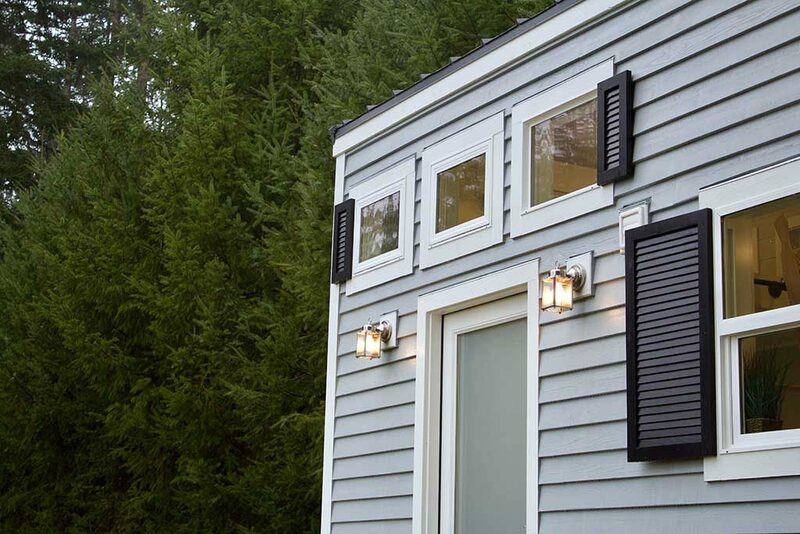 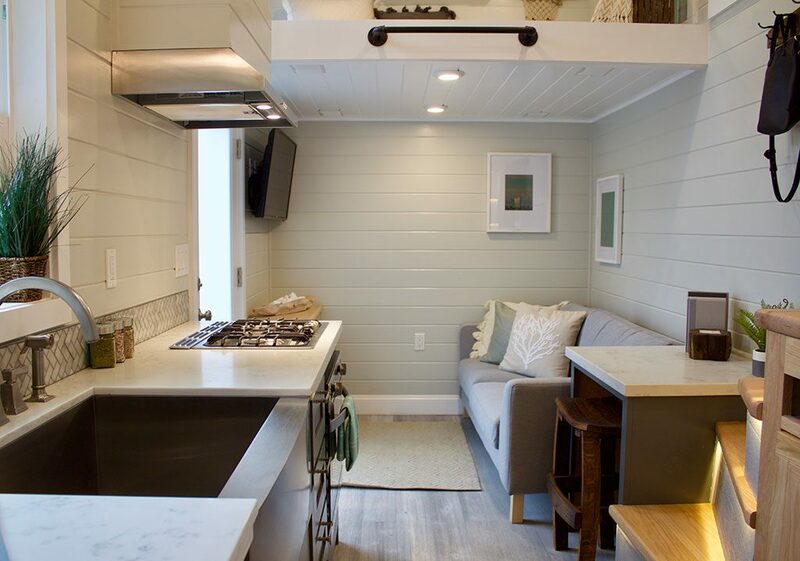 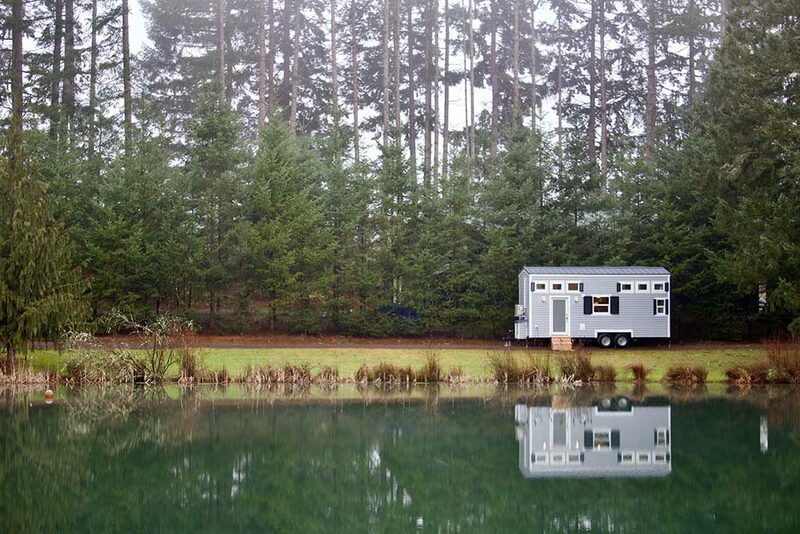 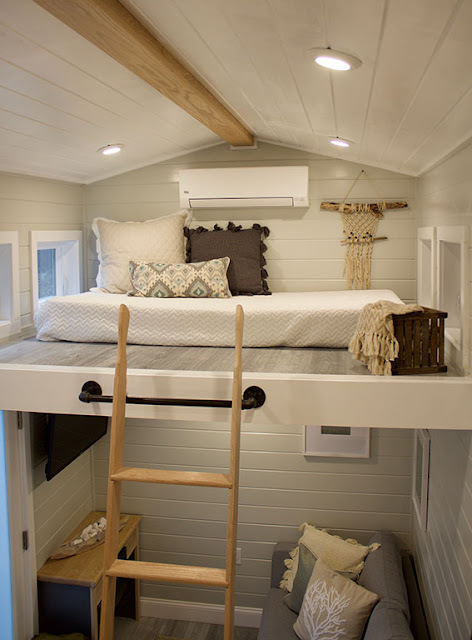 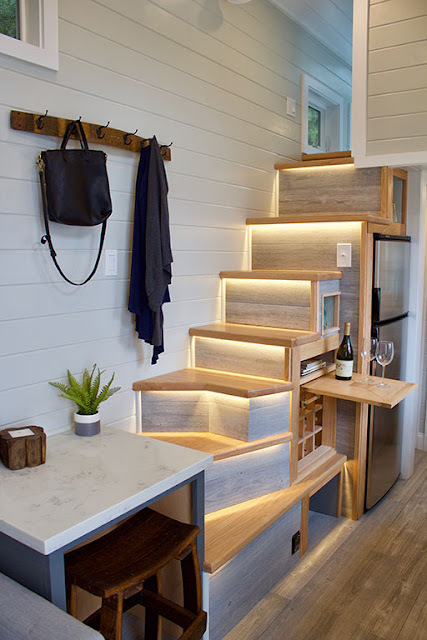 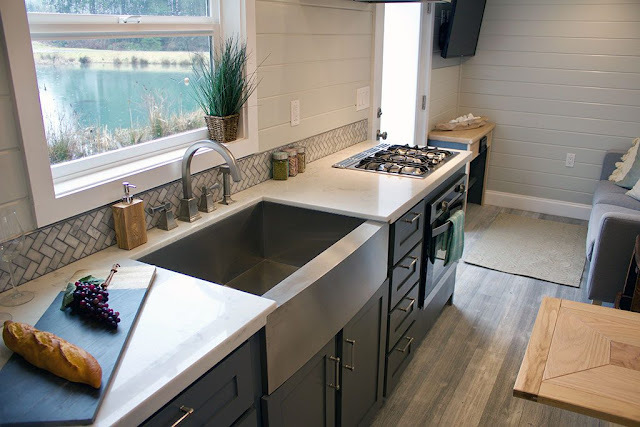 This beautiful custom tiny house was designed and built by Tiny Heirloom for clients from Medford, Oregon. 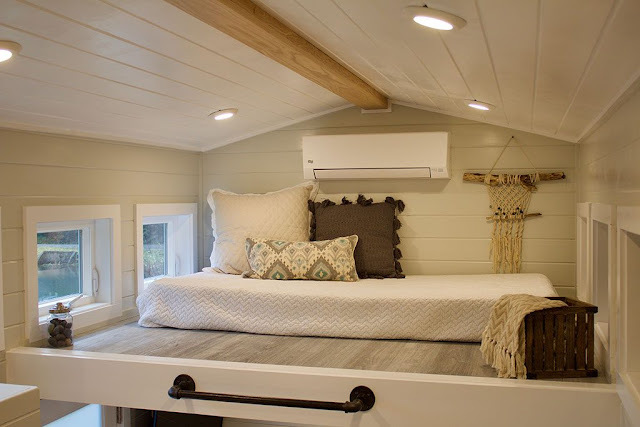 The owner, Karin, wanted a recreation of her home that was small enough to take on the road for her and her granddaughter to travel in. 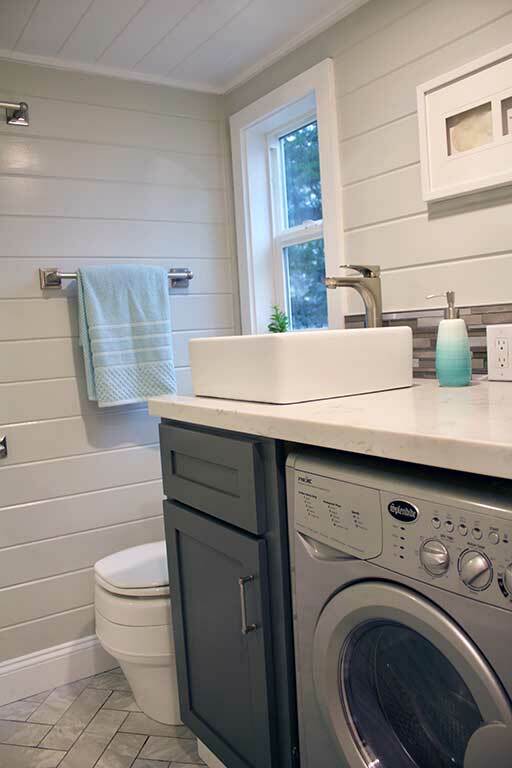 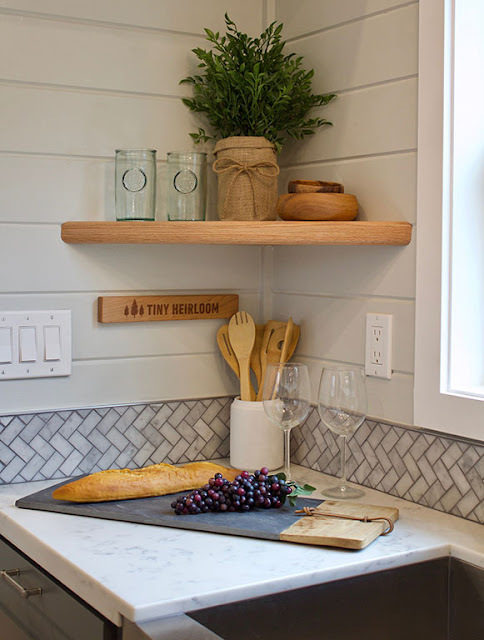 The team at Tiny Heirloom managed to pull it off and create a truly spectacualr home! 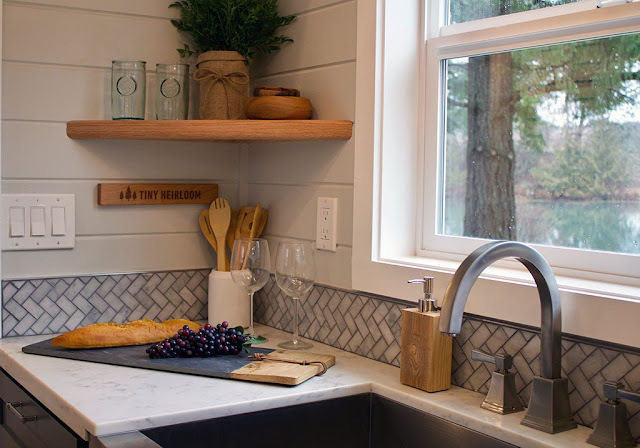 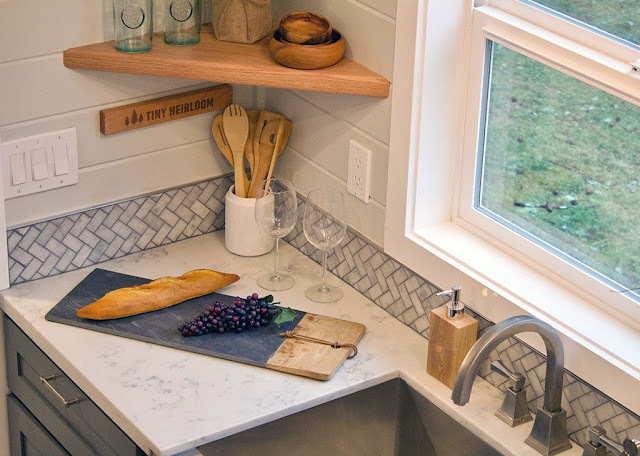 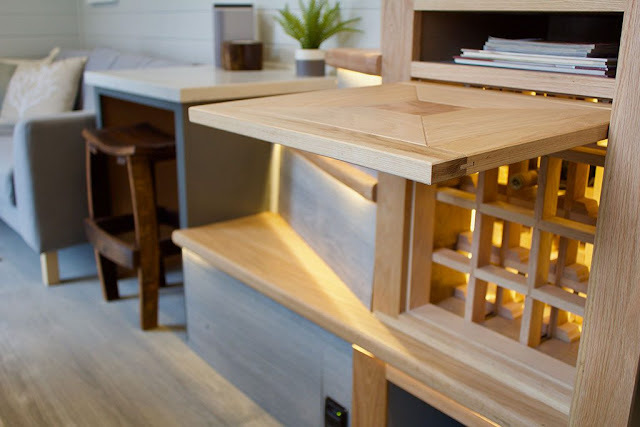 The interior features a stunning full-sized baker's kitchen with a foldout table nearby and a custom wine rack. 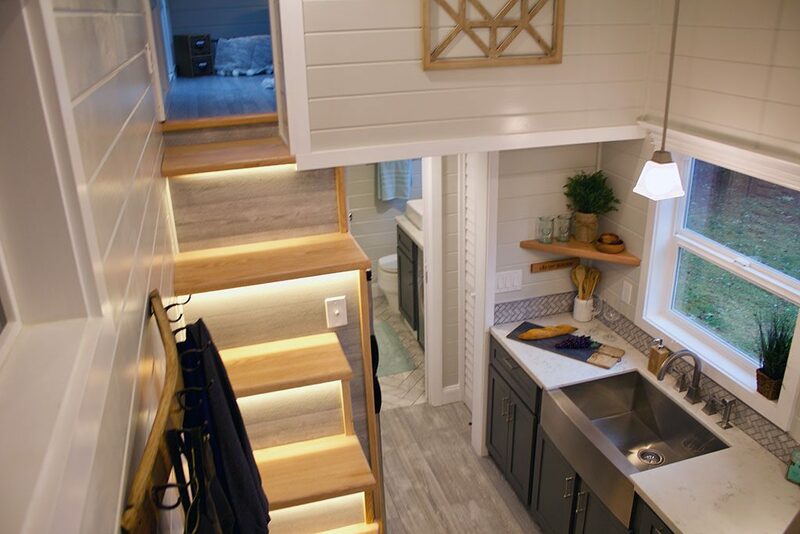 There's also a living room, a bathroom with a washer/dryer combo, and a loft bedroom!